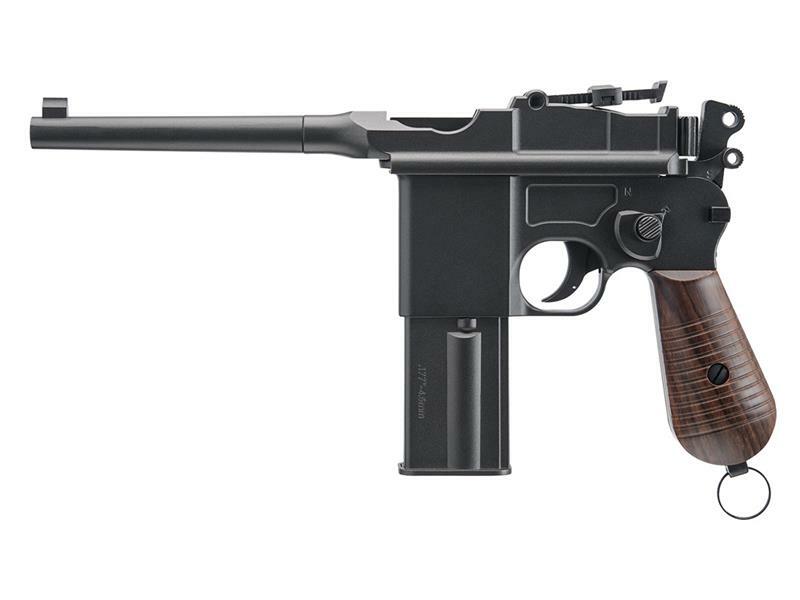 Few firearms in history are more iconic than the C96 Mauser "Broom Handle," and perhaps no Broom Handle is more coveted than the fully automatic M712 "Schnellfeuer." Now you can own your own fully-automatic .177 BB-firing M712 at a fraction of the cost of the real thing. Amazing! That's typically the first response when somebody shoots the M712 on full auto with the blowback providing a highly realistic experience. This distinctive and unusual all metal "broom handle" German replica is a piece of history that grabs everyone's attention when you first bring it out at your range or airgun recreational area. 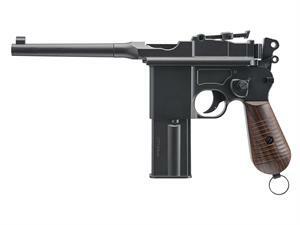 CO2 powers the gun and is stored in the removable magazine. 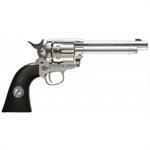 It includes a manual safety, fixed front sight, and an adjustable rear sight. WE WILL NOT SHIP THIS ITEM TO NY, NJ, IL, MA, DE or OH. Please check your local laws.